As mentioned below in part 1, we have just photos and captions on the Serengeti. Enjoy. I yelled "Stop!" 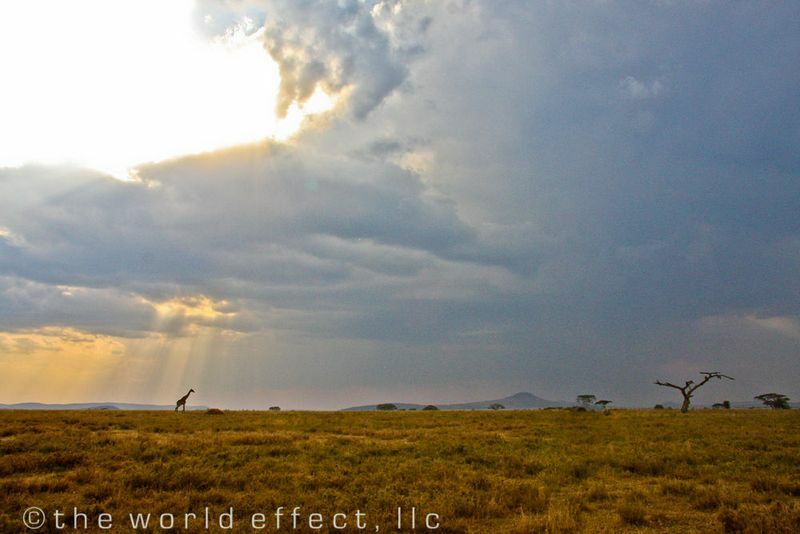 to get this shot as I saw the giraffe in the distance approaching the beams of light. 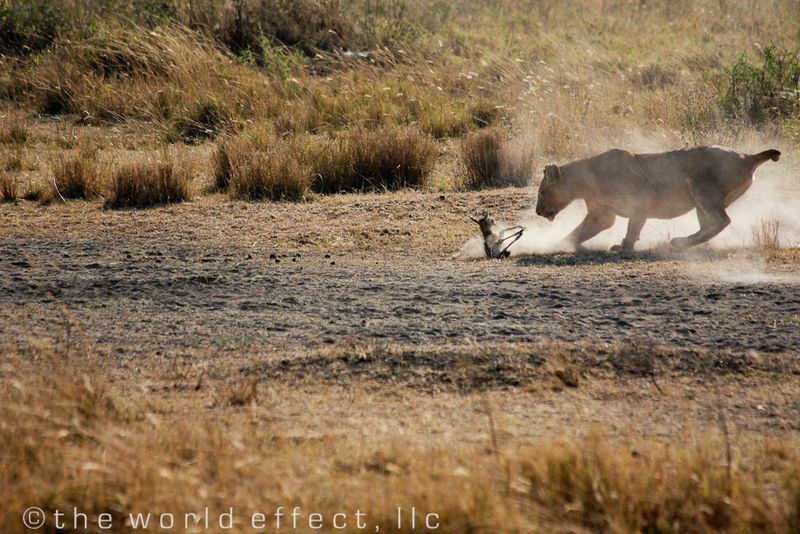 We think this photo really represents what the Serengeti feels like. 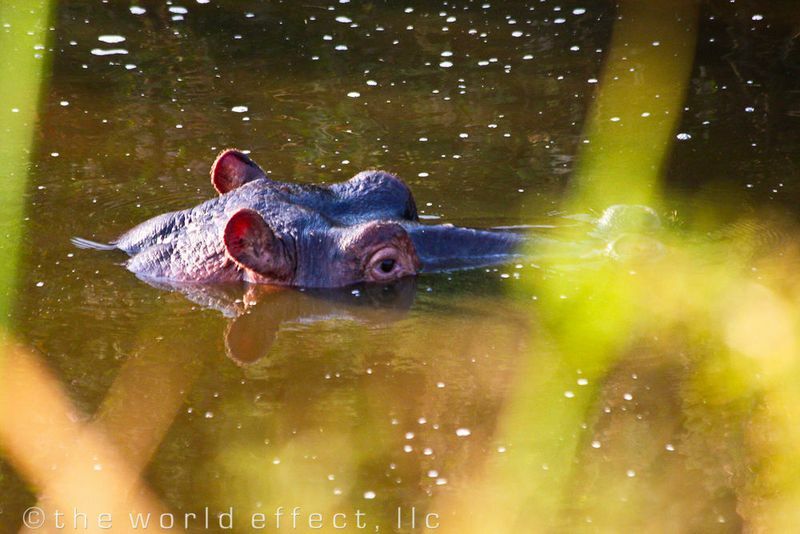 This hippo was hiding in water behind the tall bright green reeds. 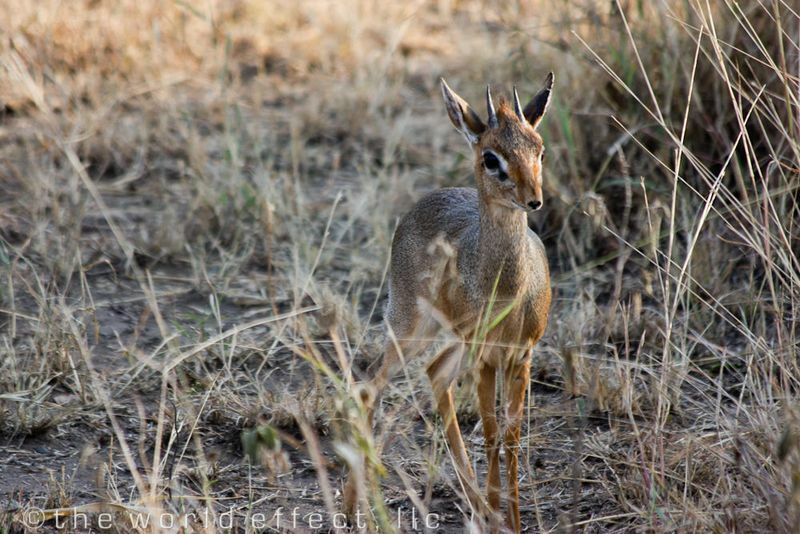 This is yet another animal Meggan wants to bring home… the smallest antelope in the world, the Dik-Dik. This is about the size of a dainty little dog a celebrity in the tabloids would carry. We saw an entire pride of lions track and then ambush a herd of gazelles. 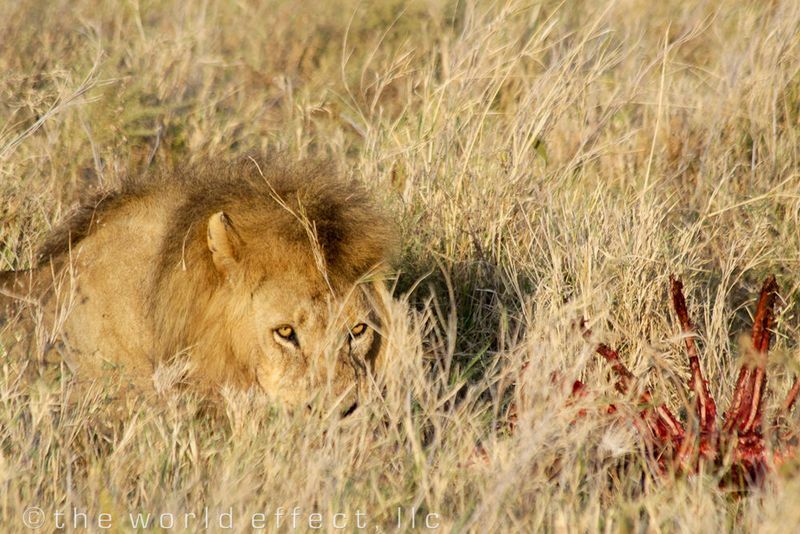 It ended up being a chaotic swarm of dust masking the other 3 or 4 lions that got kills. 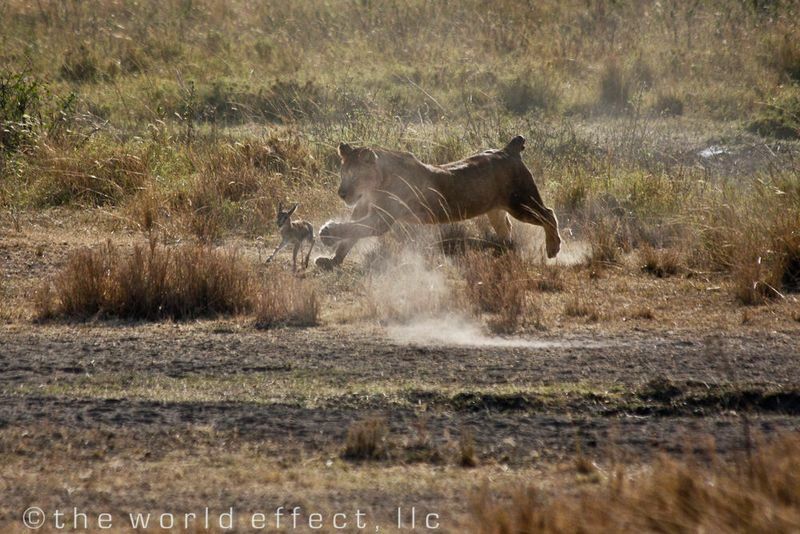 We were able to catch this lioness taking down the slowest of the herd, a baby. 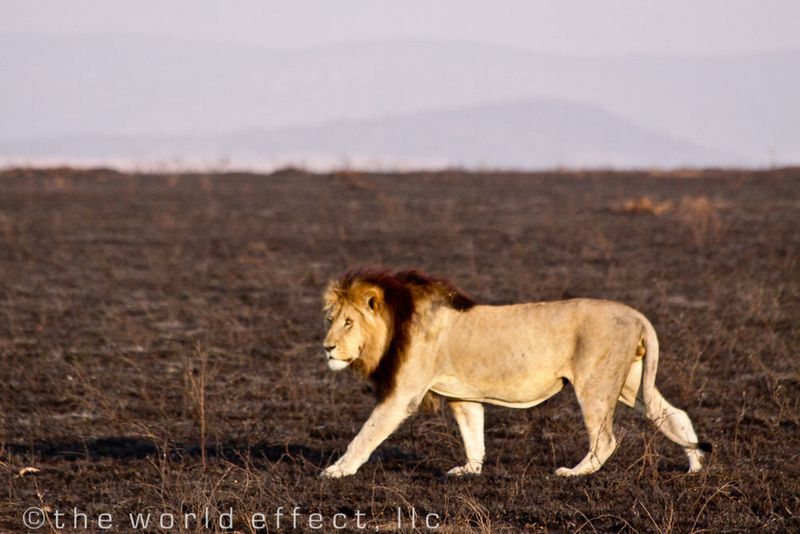 Meggan took this photo of this beautiful male lion crossing a burned section of grass caused by a lightning strike. I love the contrast in this photo. 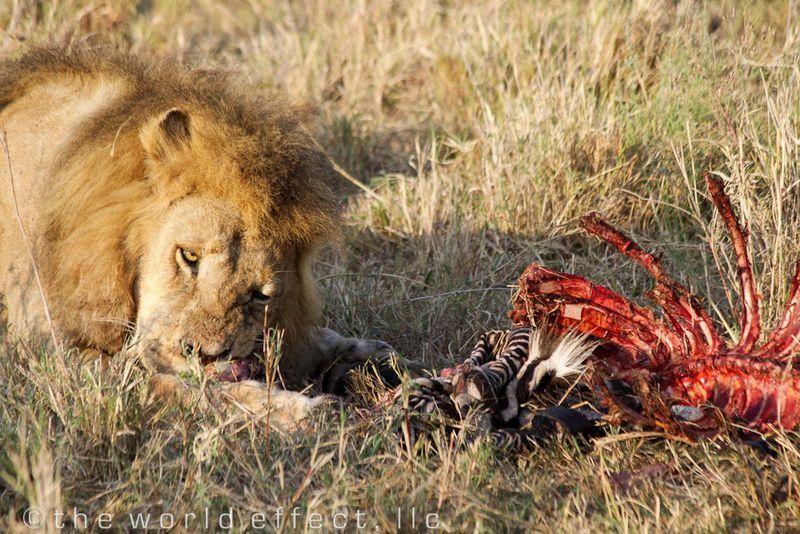 This male lion was busy feeding off a zebra. Outside the frame were several females waiting for their turn to feed. If any of them got too close, the male would snap at them. 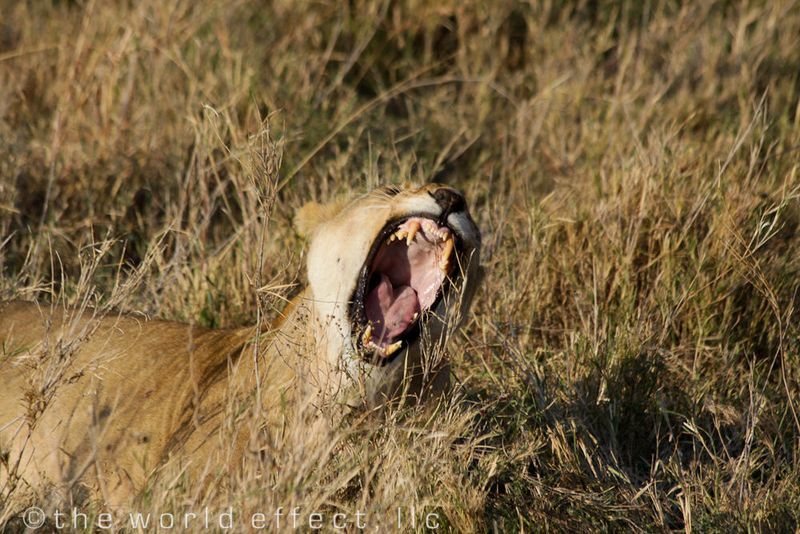 This is one of the lioness waiting to eat the zebra above. Meggan caught her yawning. These are incredible photos of animals in action! I can’t believe you were able to see these natural behaviors up close. I have to go there.